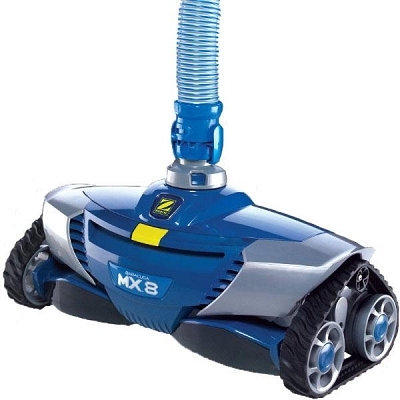 • X-Drive Technology - Optimal navigation intelligence for aggressive foor and wall cleaning. • Flex Power Turbine - Ultra-efficient power source provides maximum torque while operating at low flow, not burdening the pool system. • X-Trax - Extreme maneuverability, even in tight corners. • Cyclonic Suction - Wider cleaning path and largest debris consumption. Reward Points 445 points will be rewarded to you when you buy this item.